Brevard Job Link is a network of one-stop career centers offering a variety of no-cost services to job seekers and businesses. 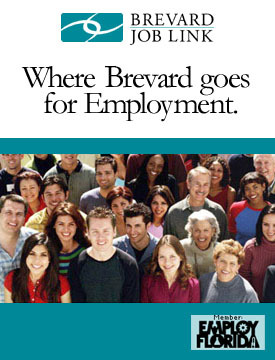 Currently we have over 1,700 available jobs listed for Brevard alone, in our system. Job seekers can access information, resources and links to help in your job search. Employers can access real time solutions to your workforce needs. An online multimedia presentation called Tour of Services that contains voice over and readable text. The Tour explains the array of services Brevard Job link offers. The 20 minute Tour of Services can be viewed, stopped and restarted, by going to www.brevardjoblink.org and clicking on Tour of Services.